So you want to play the game, huh? 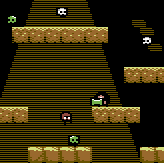 You can download the previously retail, full-featured 64KB final version as a digital download FREE from itch.io for use with an emulator (or a real Commodore 64). 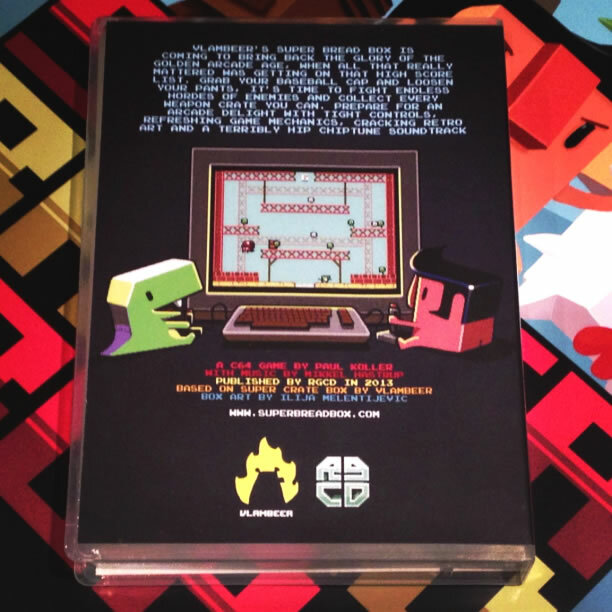 You can buy the game in a mega-collectable physical cartridge (£32) HERE. OST GET! 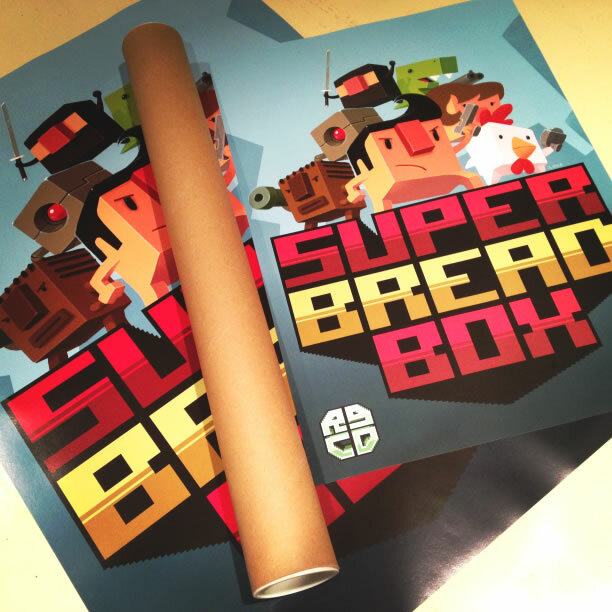 You can also grab the FREE Super Bread Box soundtrack by Encore in glorious MP3 format HERE! 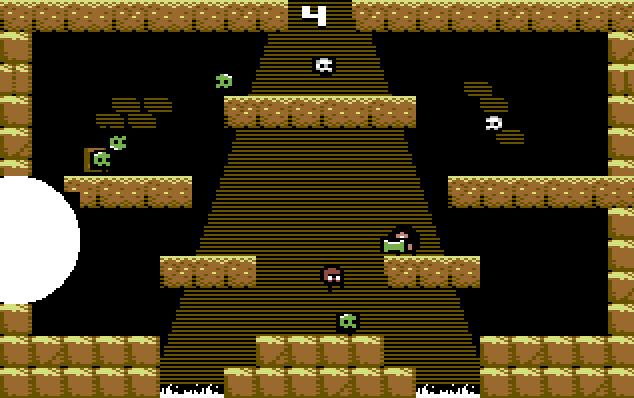 The digital version is primarily for use with emulators, but can also be run on a real C64 via hardware such as the 1541 Ultimate II. For emulator users, we recommend VICE, as it works on a variety of operating systems and is very user friendly. In fact, we've even included a pre-configured 32-Bit Windows copy with the download together with some simple user instructions (we're nice like that). 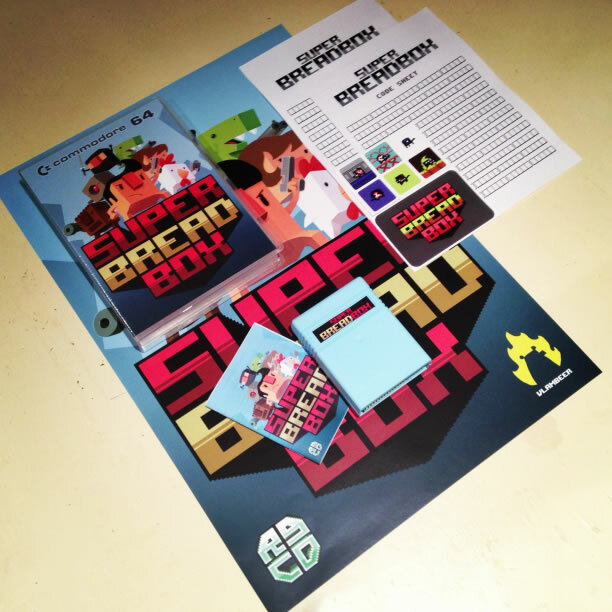 A copy of Super Bread Box on cartridge! A modified Universal Game Case complete with stunning cover artwork by Ilija Melentijevic (iLKke). An A3 sized poster of the aforementioned stunning cover artwork. Two code sheets for recording your progress. 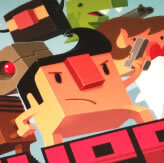 Seven vinyl Super Bread Box stickers (one logo and six random characters from the game). 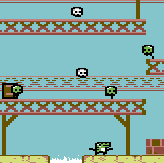 Super Bread Box has been tested on both PAL and NTSC machines, and works on the C64, C128 and C64GS. 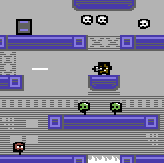 Although the game runs on NTSC hardware, it does suffer from the occasional slowdown due to NTSC machines having less CPU time per screen refresh. 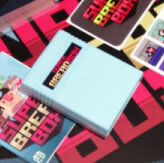 As such, Super Bread Box is labelled as NTSC compatible, but designed for PAL systems.